The previously announced, (and a bit confusing) Chicago ‘Guitar Clinic’ hosted by Marnie Stern now has a proper ticket link and etc. It will take place this Friday (July 8th), from 3PM to 5PM at Panchos. Later on that night, and also the one before; she’ll be the main support for The Flaming Lips at the Aragon Ballroom. Tickets for their July 8th performance are still available. Marnie will be heading out on a North American tour in September with No Joy. 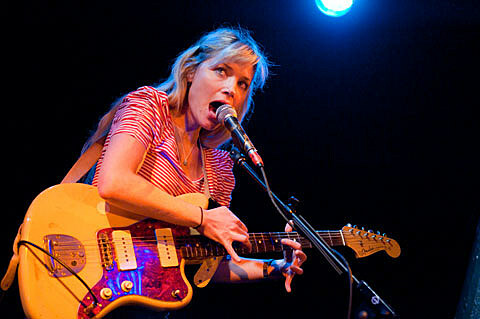 This will bring her back to Chicago on September 24th to play Subterranean. Tickets will be on sale shortly. UPDATE: Tickets go on sale this Saturday, at 10AM CST. Before that tour kicks off, No Joy will play Chicago twice this weekend. First, at Empty Bottle supporting Local H, and then as part of the previously announced West Fest.